They’re completely removable, reusable and unwrinkable. They don’t leave any tacky residue, won’t rip and will still stick after being washed with water. What am I speaking of, you ask? The new fabric wall decals from Petit Collage, of course. But wait, it gets better. The patterns used on the decals come from Petit Collage’s vintage wallpaper collection. How groovy is that? 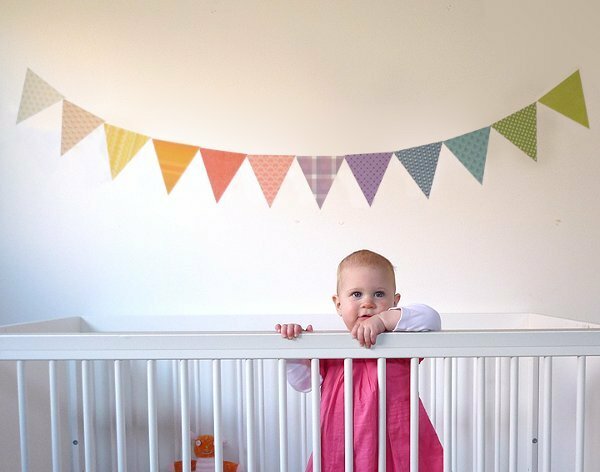 Available in two designs at the moment: a gorgeous yellow giraffe growth chart (complete with five photo ‘frames’ to see your little one’s growing face at each stage) and colourful pennants (pictured above). 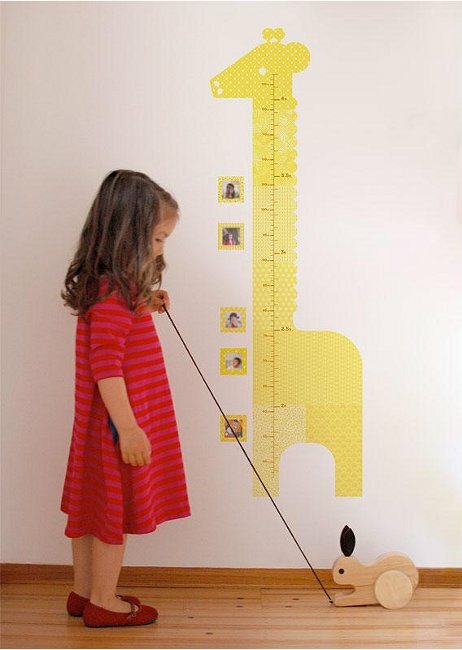 I’m already imagining where I’m going to put the giraffe growth chart in my home. On an empty wall between the kitchen and laundry will be perfection, I think. We’re big fans of Petit Collage here at Babyology, as evidenced by our many past features and this new addition to their lineup has us very excited. Available to purchase through Kindergallery, they’re made in the USA from adhesive fabric and priced at $95 for the pennants and $80 for the giraffe. Contact Kindergallery to order.